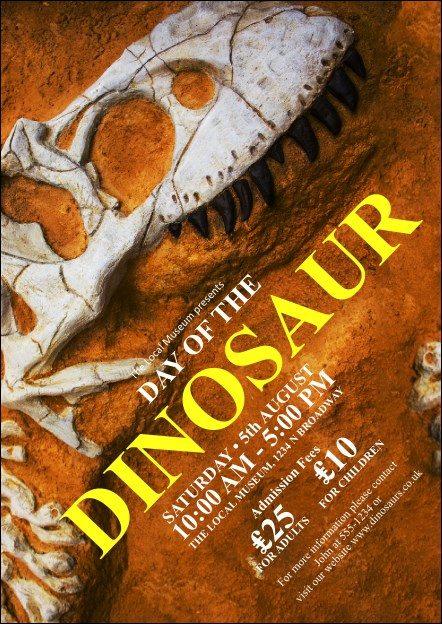 Find others who love exploring prehistoric times when you send out the Dinosaur Postcard before your archaeology event. This photorealistic design features a creature just discovered in the ground, ready to be studied. Enter fourteen lines on this template for all your event details! Coordinate your promotions with a Matching Event Kit from UK Ticket Printing.